Care@Home Smart Alerting is a combination of technologies that ensures the safety of seniors through various intelligent emergency detection and alerting methods. The company recently won a SilverEco® and Ageing Well International Award. Silver Economy and Ageing Well International Awards: discover the Jury members! As you already know, SilverEco.org has launched the SilverEco® and Ageing Well International Awards, which aim to bring together all Silver Economy international stakeholders on the occasion of a gala event, on 29th of March, 2018, in conjunction with the French event, “SilverNight” in Paris. Discover all the Jury members! [Read more…] about Silver Economy and Ageing Well International Awards: discover the Jury members! 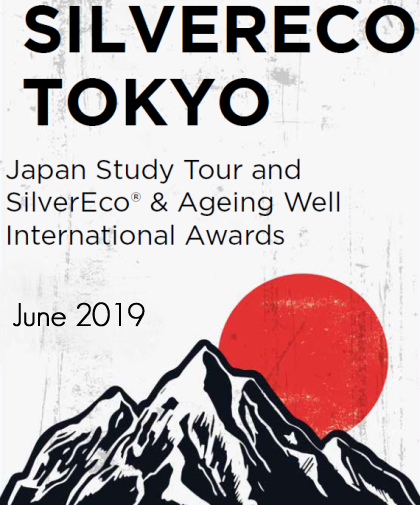 SilverEco.org has launched the SilverEco® and Ageing Well International Awards, which aim to bring together all Silver Economy international stakeholders on the occasion of a gala event. For the 2018 edition, SilverEco® and Ageing Well International Awards will take place on 29th of March, 2018, in conjunction with the French event, “SilverNight” at the biggest cinema theatre of Europe, le Grand REX, in Paris. [Read more…] about Discover why apply to the Silver Economy and Ageing Well International Awards! SilverNight/French SilverEco Awards, the annual event of Silver economy will take place on March 29th at the Grand Rex in Paris, the largest cinema in Europe.